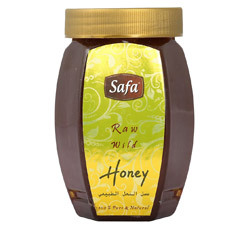 Delicious Safa®Raw Acacia Blossom Honey will delight your taste buds with its subtle, unfiltered and all-natural flavor.The light and transparent colour attests to the high quality of this single-variety acacia honey. The consistency of this delicious natural product stays fluid for a long time. 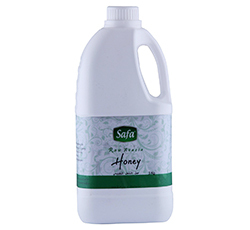 Delicious Safa®Raw Acacia Blossom Honey will delight your taste buds with its subtle, unfiltered and all-natural flavor.The light and transparent colour attests to the high quality of this single-variety acacia honey. The consistency of this delicious natural product stays fluid for a long time. Bees collect the nectar for this sun-kissed honey during the acacia’s (Robinia pseudoacacia) short blooming period in spring. It comes from an altitude of 6,000 to 8,000 feet in the North- Western Himalayan range. Indulge in the robust sweetness of acacia honey that’s straight from the hives of India’s most trusted beekeepers. Add the Safa® exquisite acacia blossom honey to sweeten tea, cereal and desserts.